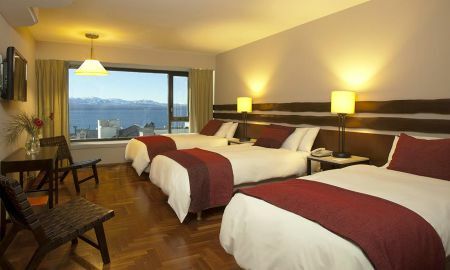 The Panamericano Bariloche is a 4-star hotel with superb views of Lake Nahuel Huapi. It is the ideal place to enjoy skiing in winter and nature all year round. 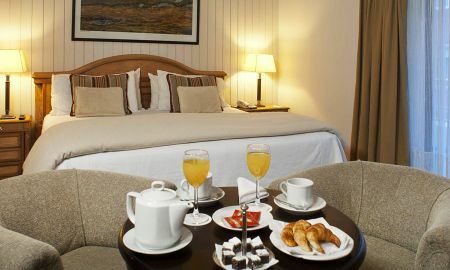 The hotel is known for its personal attention and will satisfy leisure or business travelers. The restaurant La Cave offers delicious gourmet cuisine in a cozy atmosphere reminiscent of mountain huts typical of Argentine Patagonia. 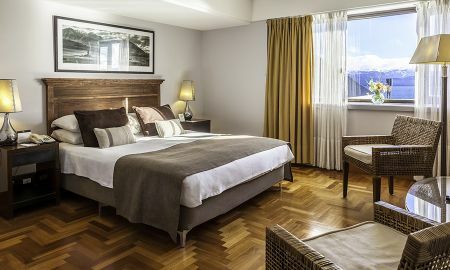 You can enjoy a three-course menu, by reservation only: Bruschettas of Patagonia with its aperitif, cheese fondue, fruit brochettes with its chocolate fondue. The Lobby Bar offers aperitifs, sandwiches, cocktails and snacks in a casual atmosphere. 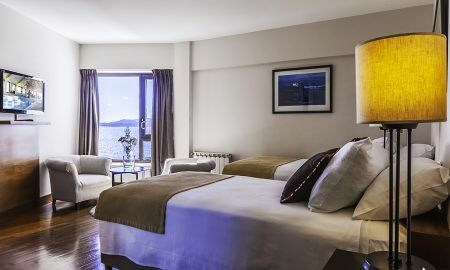 The hotel also has a Spa and a new generation gym. The Spa is dedicated to well-being and beauty. 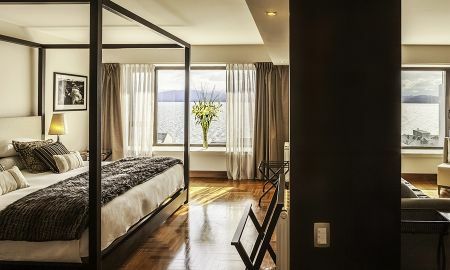 It is an oasis of relaxation with care of stones and herbs of the Andes, heated pool, sauna, Scottish shower, hydrotherapy room, chromotherapy, remineralizing mud wraps, facial and body massages, Aerobics and a chill out area. 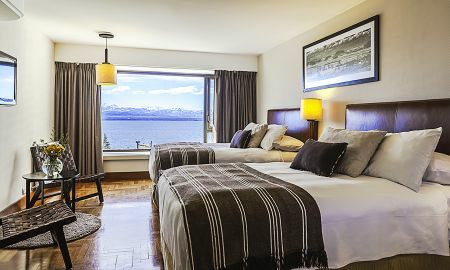 The Panamericano Bariloche hotel is located near Lake Nahuel Huapi, in the center of the emblematic Bariloche city where you can practice many outdoor activities amidst beautiful nature.